Kia offers a wide lineup of vehicles that are both affordable and reliable. 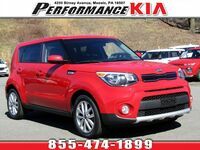 Whether you're looking at a sedan, SUV, or minivan, these models are built to withstand as many trips as you throw their way thanks to the high-quality materials that go into making every Kia model on the market. 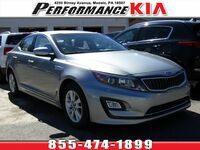 Shoppers looking to get behind the wheel of a reliable pre-owned vehicle need to look no further than our lineup of used Kia models at Performance Kia in Moosic, PA.
With sedans, minivans, crossovers, and more, there is a used Kia model that is sure to fit any lifestyle. The Kia models in our used lineup are guaranteed to get you where you need to go, every time. Read more to learn about the financing options offered at Performance Kia or check out our online used Kia inventory by clicking the link below. Get behind the wheel of a used Kia from Performance Kia today! Affording a vehicle can be tough, but with Kia’s budget-friendly prices and the financing options here at Performance Kia, you don’t have to worry about waiting to get behind the wheel of your next car. We offer online pre-approval so you know instantly that you will be able to leave our dealership with a new set of keys. The pre-approval process is as easy as filling out a quick form online and getting your results. Additionally, we offer an online loan calculator so you know exactly how much you’ll be paying each month when you get behind the wheel of your next used Kia. You can even get an estimate online of how much we’ll pay you for your trade-in vehicle. The financing options at Performance Kia are endless and our sales staff is here to help. Our staff will assist every guest with getting behind the wheel of their next car no matter what your budget or financial history may be. Come on down to Performance Kia in Moosic, PA today to find your next pre-owned Kia!